India’s First, Automatic Super High Speed Vertical Rotary Sticker Labelling Machine Model LABELSTIK-400, is one of the most user friendly. The Machine incorporates latest sophisticated Micro Processor Control Label Dispensing system with user friendly Sensing system for Label and Product. 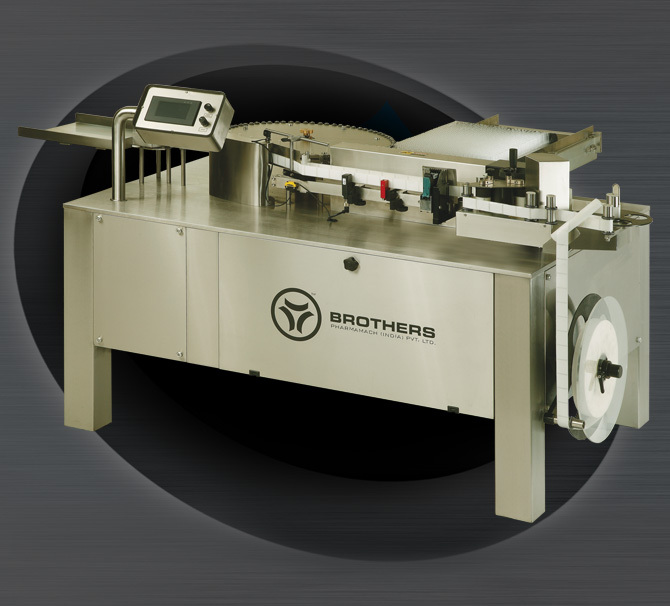 The machine is suitable for Labelling on Round Ampoules, Vials, and other round Objects. It is capable of Labelling up to 400 units per minute depending on products and label size. Specially designed electronic and mechanical system to apply transparent (No Look) Labels on Ampoules and Vials at very high speed using optional special label sensing system. 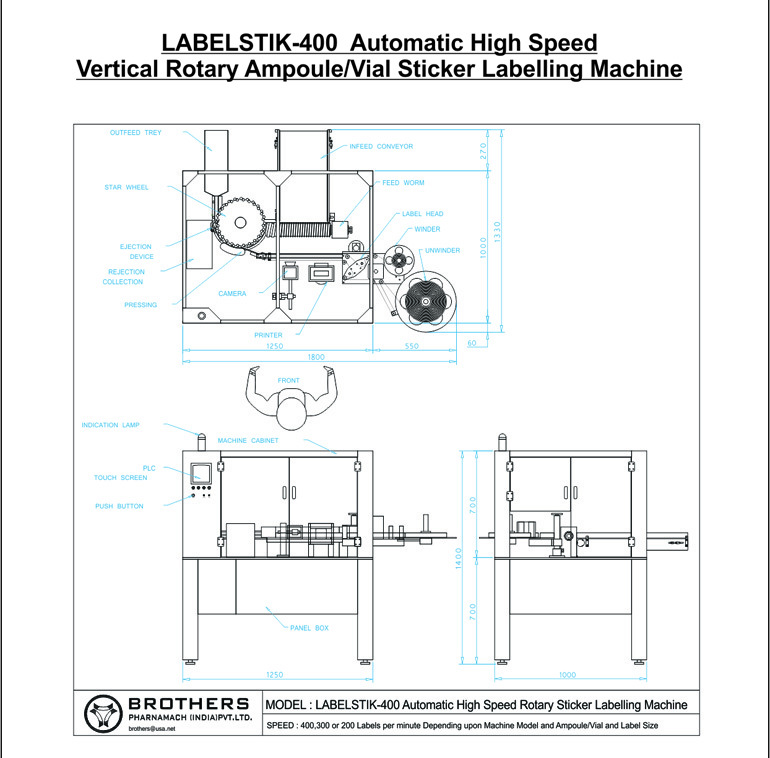 LABELSTIK-400 Truly one and only High Speed Rotary Sticker Labelling Machine available in India, with unique single point synchronised speed control system. The Inbuilt Automated Label Length detection systems eliminates any need for manually feeding and storing of Label Length data in memory and retrieving the same every time for change of Label Size & re-starting the machine. The System thus saves valuable time, avoiding machine-down time, and helps achieve higher production. LABELSTIK-400 Model also available with Max. speed of 300 and 200 Ampoules/Vials per minute.